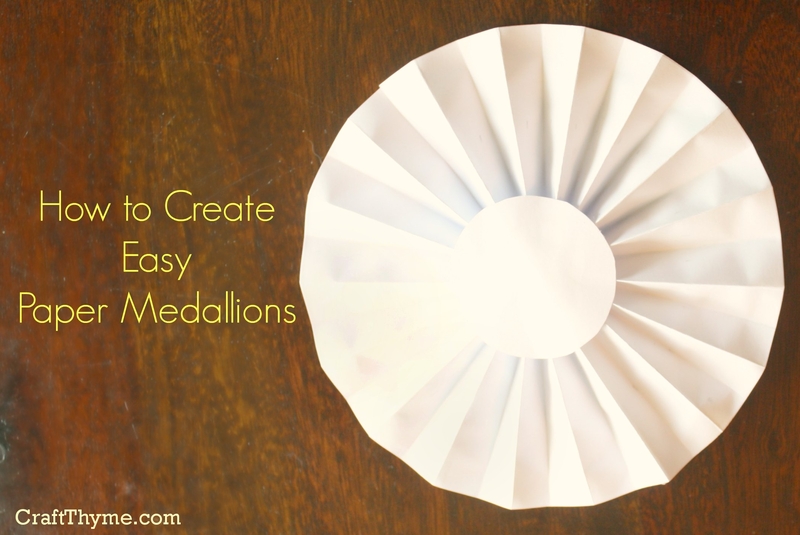 Pleated paper medallions, also known as paper rosettes, are easy to make. The following step by step tutorial will show how I created paper medallions for a Fourth of July inspired mantel decoration. You only need a few tools (namely scissors, paper, and glue) to create these pretty rosettes. The first step in creating a paper medallion is deciding what diameter you want. 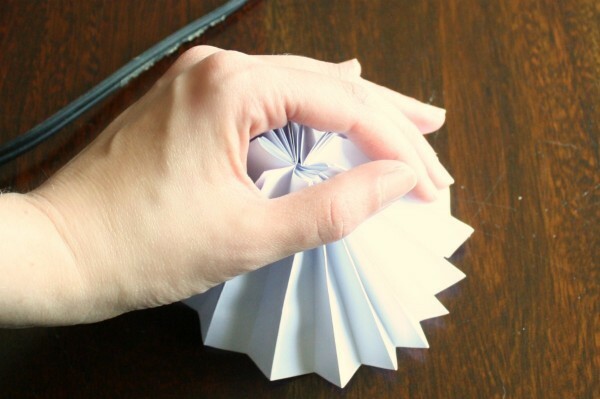 This particular tutorial creates a rosette that is 6 inches across. In order to get 6 inches each pleated strip of paper needs to be half that size (Just go with me here it will make more sense in a minute). I used the ruler to mark two 3 in (half of the six inches b/c I want the finished medallion to be 6) strips of my 8.5 X 11 in paper and cut them out. You can see the faint lines here marked by arrows. Hold on the that extra 2.5 in piece left over. We will need that in a minute. While the previous step only involved dividing by two, the math gets a little more complicated here. Your next step will be to figure out the pleating. Perhaps there is a website that offers a golden ratio for making these dang things but let us just say you want it to come out kinda close to even. (Scroll to the “Notes” section at the bottom for a discussion on pleat sizes and paper) In this case 1/2 in pleats look good on 6 inch medallions. You can mark all your pleats if you are Martha or be like me… Mark the first one and fold it very well then eyeball the rest. I figure if you start off good that’ll do. It’s crafting not surgery. 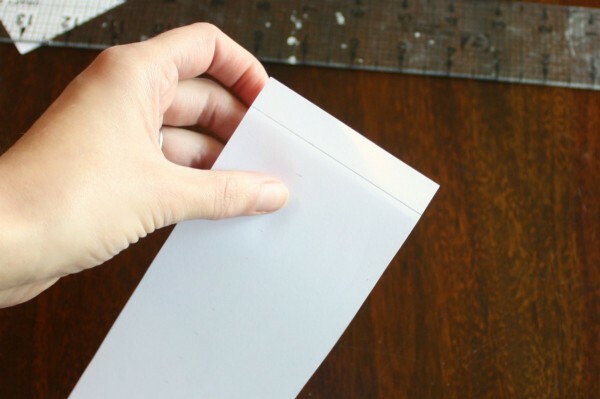 Remember that other piece of left over paper? Extract it from where ever your cat/3 year old/baby has removed it and grab your “Thing you can trace to make a circle”. 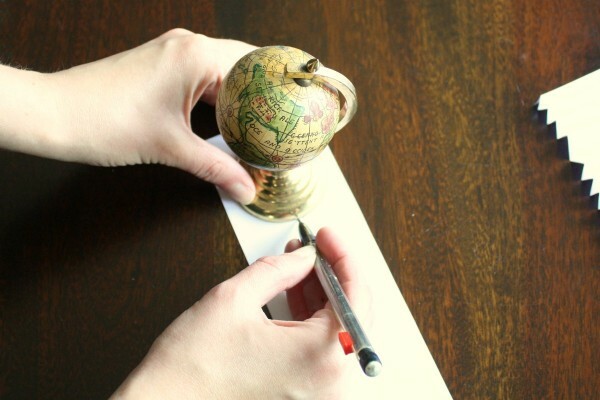 In my case it was this little decorative globe. Trace a minimum of two circles and cut them out. 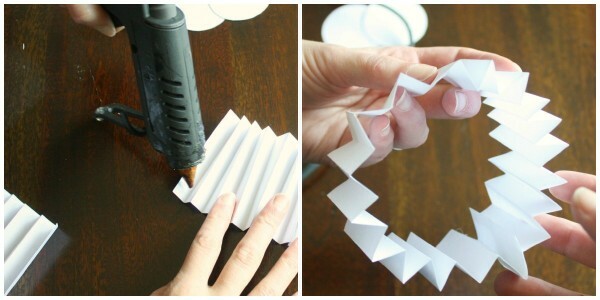 You can cut more in various sizes and stack them for a decorative look. Someone please remind me to lotion up my hands before I do another tutorial in which they show. Scaly is all that is coming to mind. Step 5: Yes more steps… You can do it! Back to the folded pieces of paper. Get out your glue. I suggest hot glue for a few reasons, namely it sticks and it dries fast. But as long as it glues you are good to go. 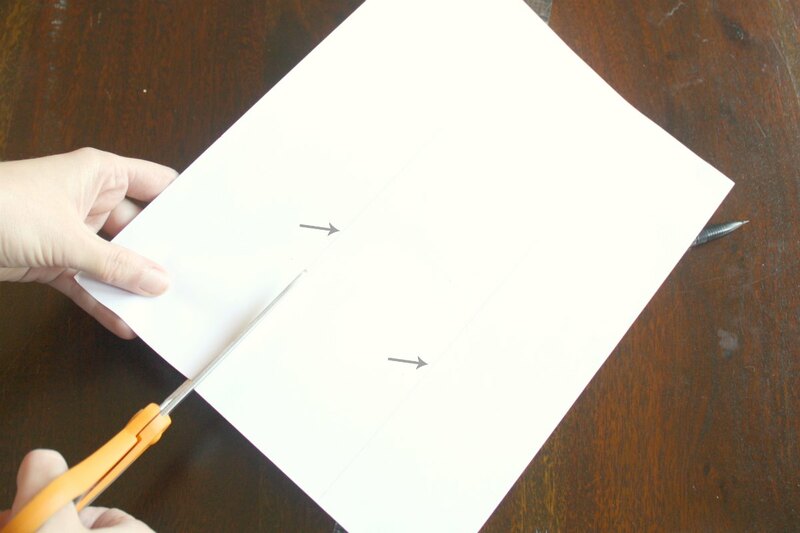 First, glue the two strips end to end to make one long strip. Then circle it around to make a tube. Kinda looks like a really crappy lampshade when you have glued them correctly. This really isn’t a step in itself but mastering the gathering of folds is slippery at best. You kinda loosely gather the pleats into a cone and begin pushing down. Try to keep the cussing down to a minimum, as it pops out of shape. Or wait until nap time, and feel free to make a sailor blush. Gently push the cone down. As the edges fan out the center will begin to flatten. Now, is why I recommend hot glue. The medallion will want to pop back up until you set the center. I use the “Thing I could trace and make a circle” to hold it down while I pop some hot glue on one of the circle centers and then again while it dries (cools? what is the appropriate term for hot glue?). For added firmness use the second circle and hot glue it on the back. Pleats are a beotch and there are a number of things to keep in mind. The bigger (larger diameter) a medallion then the more pleats you will need. 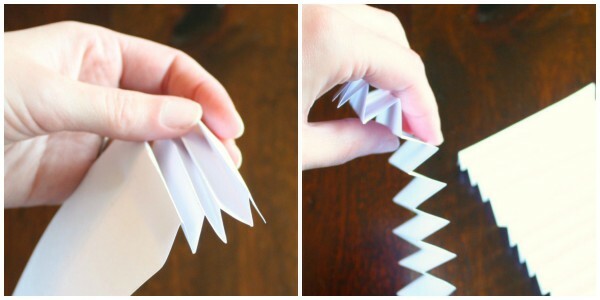 More pleats can mean many smaller pleats or greater length of paper (2-3 strips attached). Though at some point you have to add length. I have made very small medallions with a single strip, but it needs to be lightweight paper. If you haven’t made enough pleats or added enough length you can always cut into the outside edge. I like the look enough that I did it on purpose to make a more “firework” looking paper medallion that you can see here. Hot glue is hot. Paper is thin. Be careful and don’t blister your finger tips like me. Don’t limit the center to a circle. The center simply holds the medallion together, consider adding contrasting papers, shapes, and symbols for unique touch. It also has the added benefit of covering up a multitude of craft sins… Such as when you might have smooshed the center a little too vigorously. I wondered how to do this! Thank you! I think I am going to post some printable templates for medallions on Thursday. I figure it will make it even easier.